Interesting! I’m going to guess he is telling the truth. He’s not, but that doesn’t stop him from having a plan to make them think he’s telling the truth! Welcome back! 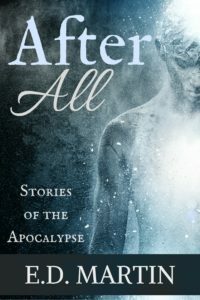 Excellent excerpt – I’m always fascinated by post apocalyptic tales. I too wonder if the grass could possibly be real! My son is interested in various apocalypses, and so he’s gotten me hooked on them too. There are so many possibilities! This passage characterizes Niko (boasting about the impossible) and establishes the setting (grass being the impossible thing). Nicely and efficiently done! Welcome back! Great snippet and I love it! I admire the kid’s moxie, but it’s a bad idea to lie about something easily checked. And if he isn’t lying, color me intrigued! It’s definitely checkable, and he has a plan to prove it to his friends.